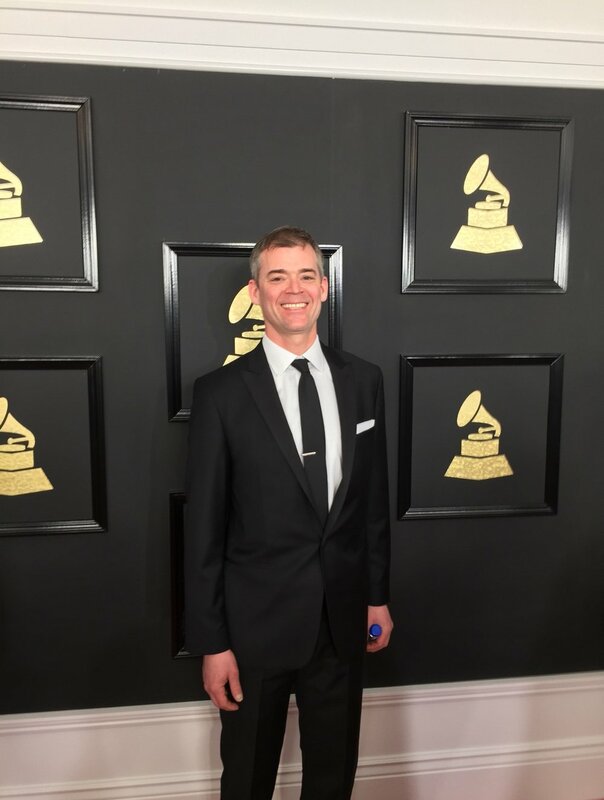 GRAMMY award winner Joseph Gramley is Professor of Percussion and Director of Percussion Studies at the University of Michigan and director of the university's famed Percussion Ensemble. He performs around the world as a founding member of Yo-Yo Ma's Silkroad Ensemble, performs with English organist Clive Driskill-Smith in the duo, Organized Rhythm, is principal timpanist and percussionist with The Knights, and is widely heard and seen in his dynamic solo percussion concerts. Gramley's dynamic and exciting performances as a soloist have garnered critical acclaim and enthusiasm from emerging composers, percussion aficionados and first-time concert-goers alike. He is committed to bringing fresh and inventive compositions to a broad public, and each year he commissions and premieres a number of new works. His first solo recording, American Deconstruction, an expert rendition of five milestone works in multi-percussion's huge new modern repertoire, appeared in 2000 and was reissued in 2006. His second, Global Percussion, was released in 2005. An invitation from Yo-Yo Ma in 2000 led Gramley to join Mr. Ma's Silkroad Ensemble. In addition to participating in the group's extended residencies in cities and at universities around the globe, Gramley has toured with Mr. Ma and the Ensemble throughout North America, Europe, the Middle-East and Asia, performing in the world's finest concert halls. Gramley will again join the group in Australia and Asia in October 2018. At the moment, Gramley is on tour with Silkroad Ensemble and the Mark Morris Dance Group in their evening length production of Layla and Majnun. Along the way, Gramley has studied percussion styles and instruments from around the globe, collaborating with internationally-renowned musicians from India, Iran, China, Japan, Korea and Central Asia. He has also appeared on six top-selling albums with Yo-Yo Ma on multiple labels. Gramley served as Associate Artistic Director of the Silkroad Ensemble from 2014-2017. During Gramley’s tenure, the Ensemble won the 2017 GRAMMY award for ‘best world music’ album. In addition to his solo and Silkroad work, as well as his frequent appearances with chamber groups and orchestras, Gramley performs with the acclaimed British organist Clive Driskill-Smith in the duo Organized Rhythm. The pair's first recording, Beaming Music, was issued in 2007. They’ve steadily released videos since that time. Gramley joined The Knights in 2009 and has recorded and performed with them throughout the U.S. and Europe. Joseph Gramley has performed with: the Metropolitan Opera (on stage with Placido Domingo), Pierre-Laurent Aimard (US tour), Orpheus Chamber Orchestra, Orchestra of St. Luke's, Chicago Symphony Orchestra (soloist), Seattle Symphony, Orchestre de Lyon, Dawn Upshaw (US tour), David Robertson (Carnegie Hall), Spoleto Festival (soloist), Martha Graham Dance Company, Merce Cunningham Dance Company, Mark Morris Dance Group, New York City Ballet, Glen Velez (US tour), Keiko Abe (PASIC), Aretha Franklin, Elton John and numerous others. Born in 1970, Gramley grew up in Oregon and was named a Presidential Scholar in the Arts while a senior at the Interlochen Arts Academy in 1988. He did his undergraduate work at the University of Michigan and attended the Tanglewood Institute and Salzburg Mozarteum during college. He also won a job with the Spoleto Festival Orchestra at age eighteen and spent three summers with them at both Spoleto Festivals: Charleston, SC and Spoleto, Italy. Gramley later returned for three more summers at Spoleto Charleston as a guest artist/recitalist. It was there that he premiered Bright Sheng's 'Silver River' with Wu Man. Gramley has spent fifteen summers at the Marlboro Music Festival in Vermont. His first summer, in 1993, he played the Bartok Sonata with Andras Schiff and Bruno Canino and premiered David Horne's 'Phantom Moon'. Gramley made his concerto debut with the Houston Symphony Orchestra after winning their National Soloist Competition, and made his solo debut at Carnegie Hall's Weill Recital Hall in 1994. Gramley did his graduate studies at the Juilliard School in New York, receiving his Master’s degree in 1995 and received the Saul Goodman Scholarship. He made his conducting debut with the Juilliard Percussion Ensemble. He was director or the Juilliard Summer Percussion Seminar for seventeen years, from 1999-2016 and was Chair Daniel Druckman's Juilliard Percussion Department assistant for five years, 2000-2005. Gramley was on the faculty of the Idyllwild Summer Arts Festival in 2008 and 2009. In 2010 he founded the MPulse Percussion Institute at the University of Michigan. He is grateful to have studied with amazing mentors and artists, among them: Michael Udow, Salvatore Rabbio, Daniel Druckman, Gordon Gottlieb, John Wyre, Julie Spencer, Keiko Abe, Glen Velez, John Alfieri, Erik Forrester and Alan Abel.